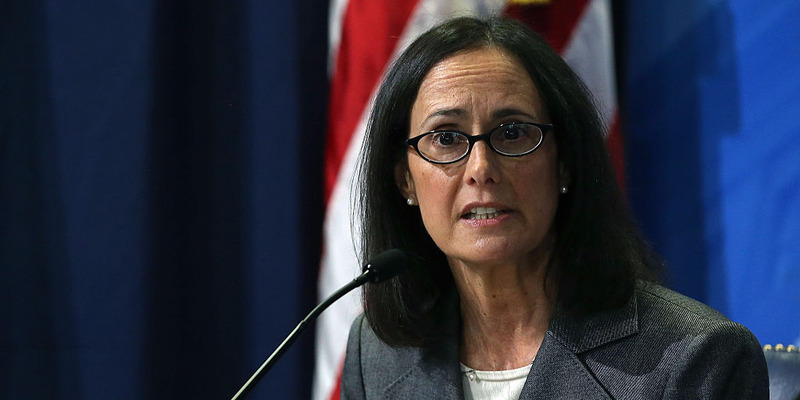 Mark Wilson/Getty ImagesIllinois Attorney General Lisa Madigan. An Illinois bus company is being investigated after it posted what some have called a “racist” ad. The state’s Attorney General is looking into whether the ad, which said ‘you won’t feel like you’re in China’ on its buses, violated the law. The company’s initial apology criticised the University of Illinois’ enrollment choices. The Illinois’ attorney general is investigating a transportation company that promised patrons “you won’t feel like you’re in China” on its buses. Suburban Express, which provides bus services to University of Illinois students, emailed out the controversial line as part of an ad for its services last weekend. In response, Attorney General Lisa Madigan announced a subpoena for Suburban Express on Monday and will be looking at whether the ad breached Illinois’ Human Rights Act. The act prohibits services from being denied based on a number of factors, including race and national origin. China’s state-run news agency Xinhua reported the “racist” message along with a claim from a Chinese PhD student that they will no longer use the service. An initial apology from Suburban Express criticised the University of Illinois’ enrollment of foreign students. A second apology, on Facebook, admitted the ad was “grotesquely xenophobic” and that the company admits all responsibility for its “inappropriate and harmful” actions.